What does soo woo mean? 🎵 Lemme hear ya say "Soo woo soo woo, soo woo, soo woo!" 🎵 The term soo woo—along with variants like suhwoop, soo woop, and woop woop—is a greeting and identifier used by the fellow gang members in the Bloods. It is closely associated with Los Angeles and the rapper Lil Wayne. Where does soo woo come from? The Bloods is one of the largest street gangs in the US, first forming in Los Angeles during the 1970s and spreading across the country. 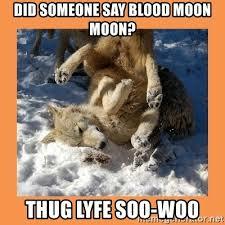 One Blood may issue a Soo woo in greeting, with the force of “Bloods rule,” with another Blood responding with Woo. Several myths surround soo woo. Some claim it derives from Swahili; others believe it imitates the sound of police sirens. 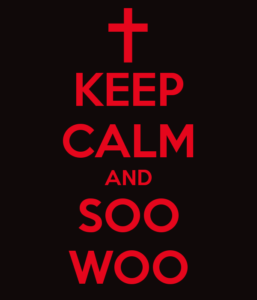 The most likely explanation, though, is that soo woo is a variation on woop woop, a slang way to express excitement. During the 1990s various Bloods members started using woop woop to greet one another. This picked up in popularity after it was featured in rap songs like “Mafia-Lane” by the Bloods & Crips (1994) and “Whoop Whoop” by DJ Pooh (1997). In the early 2000s, woop woop morphed into such forms as suhwoop, soowoop, and soo woo. Soo woo went further mainstream in 2018 after rapper YG released a song named after yet another variation of the term: “Suu Whoop.” The song features lyrics about the Bloods and being involved in gang life in LA. The most common application of soo woo usage is anything gang-related, primarily as associated with the Bloods. You might across it in memes, with people poking fun at the thrills or perils of gang life. But sometimes it is used more earnestly with folks actually referring to the Bloods. And of course, you’ll hear it in plenty of hip-hop songs, especially among artists boasting some affiliation with the Bloods. Soo woo is sometimes used as a catchphrase or caption. It carries connotations of coolness and thug life aesthetics. Sometimes people will use it when they’re partying, feeling tough, or think something looks badass. Note that if you search soo woo, you’ll also quickly discover that forms of soo and woo are quite common in English spellings of Korean names.